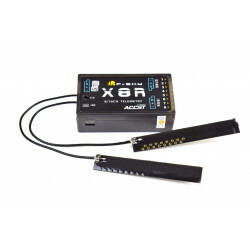 This receiver features SBUS, Smart Port and RSSI and complements the Taranis and the plug in XJT module. Please find the Frsky X6R Manual on Frskys page. 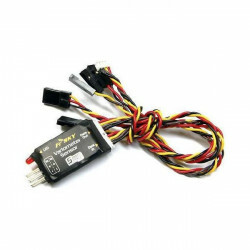 Frsky D4R-II 4 Channel ACCST Receiver w/telemetryThis D4R-II is a full featured mini sized 4 channel..
Towerpro MG995 Digital Servo 55g Metal Gear High TorqueThis is essentially an upgraded version of th..